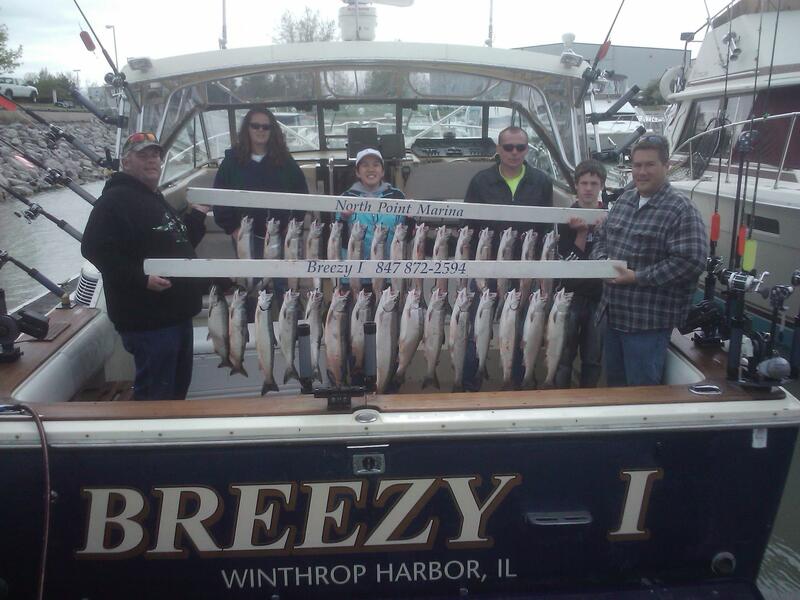 Come and experience the best that Lake Michigan has to offer with Breezy 1 Charters. Head offshore with an experienced crew, and even take the chance to stay in a lakeside lodge, as you get the most out of the diverse fishery on offer in this Great Lake. A 2nd generation guide, Captain Shawn Keulen has spent his life on the water. 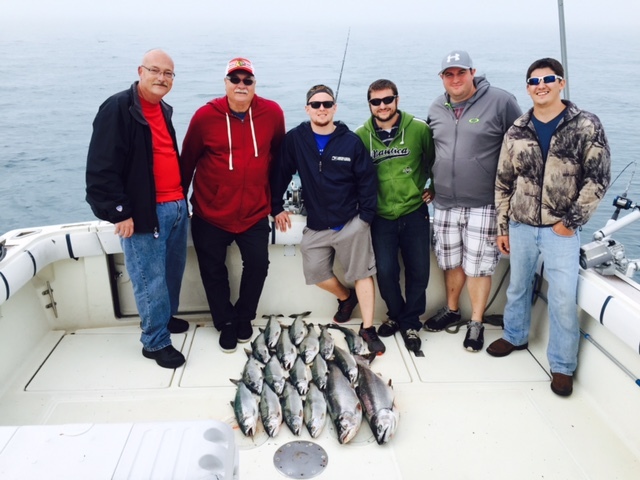 From a young age, he learned exactly what makes a special fishing trip, and puts the customer at the heart of his business. Let him show you what riches the lake has to offer. 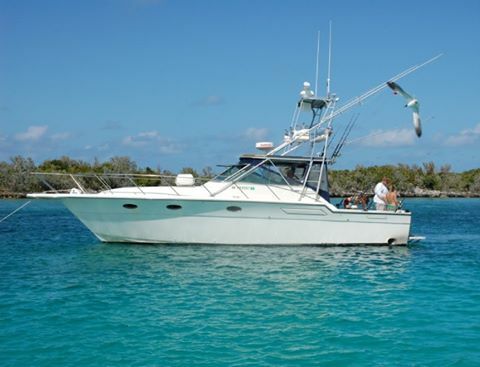 Discover exciting fishing grounds up to 8 miles offshore aboard a spacious 39’ Tiara offshore sportfishing boat. 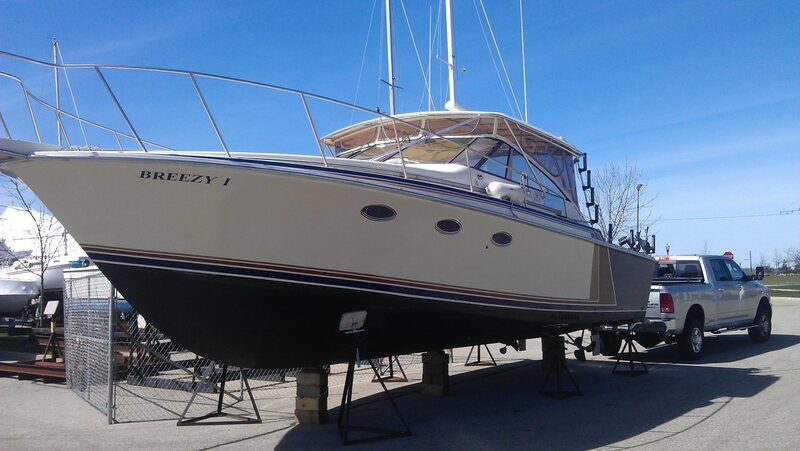 Powered by twin 420 HP Cummins engines, you’ll speed off after the fish, all the while enjoying the comfortable space. Up to 6 guests are invited to take advantage of the air-conditioned cabin that features a bed, kitchen, fridge, TV, and toilet. Built with fishing in mind, the downriggers and outriggers will allow you to troll with numerous lines as you seek to entice the bite of some monster fish. Capt. Shawn wants you to be as involved as you’d like, so help set up the lines or sit back and enjoy the stunning surroundings. Overnight trips will see you stay at the modern and comfortable Illinois Beach Hotel. Overlooking the lake, she’s a delightful place for lodging and putting your feet up after a long day’s fishing. 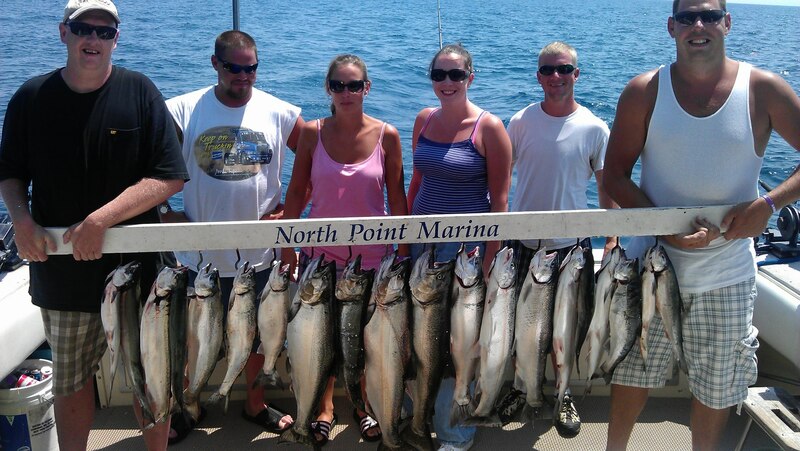 You’ll need all the rest you can get after spending a day on the water battling it out with some of the Great Lakes’ finest. Monster Salmon and a range of different Salmon and Trout will be biting away at your line. Known for trying to wriggle away and even leap out of the water to get off your line, you’d better use all your strength to reel ‘em in! At the end of each trip, the crew will clean and prepare your catch for you to take home, so come prepared to fill your fridge with delicious fish. 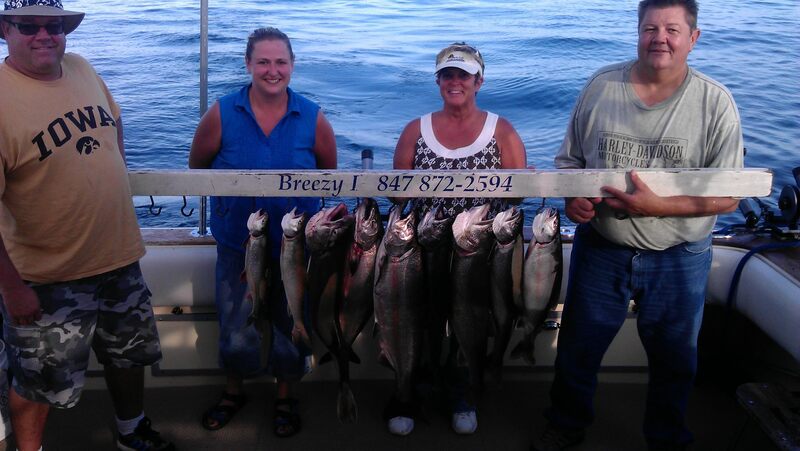 All you need to do is grab your fishing license, bring some drinks and snacks, and get ready for a memorable experience with Breezy 1 Charters.